Mastering My Midlife (and midriff! ): The Fifth Day of Christmas... Be kind, to you. The Fifth Day of Christmas... Be kind, to you. Happy Fifth Day of Christmas, I'd like to share a special message with you today. That's it. Sounds so simple, but it's not. If you're anything like me, you might be a perfectionist, you might be a little too hard on yourself sometimes, you might beat yourself up for past mistakes. As I said earlier, I'd been feeling overwhelmed and sad and angry with myself for not taking the time or making the effort to educate myself about the animal agricultural industry sooner. I was kicking myself for not making better choices - for being thoughtless and selfish. But I needed to remind myself of Shamandment number six, no being a hateful meanie to myself. I half wondered, if you've been reading along and sharing this new journey toward a plant-based life, maybe you needed a reminder too? So with that in mind I'd like to share a message from actor, author and activist Alicia Silverstone from her book The Kind Diet. 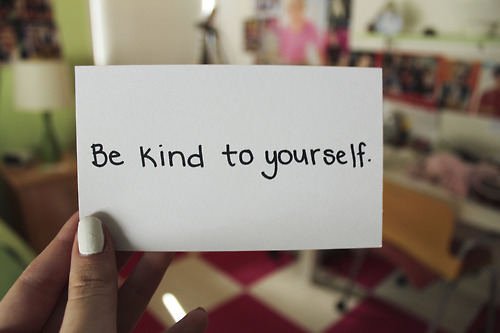 Be kind to yourself. I know that I said up front that staying away from all animal products is important in order to feel the full impact of the diet - and that's certainly true - but at no time is beating yourself up an option. Changing a lifetime's worth of habits can be challenging: if you fall off the wagon, just get back on. No drama. No guilt. Being vegan is a journey, not a destination. It's a gentle awakening of the heart, mind and spirit. You'll see that there is no punishment here, just the beautiful reward of feeling better and better everyday. As you continue (or in our case, embark) on this journey - 4 weeks and beyond - you will experience amazing changes. Some will come quickly, some slowly, but eventually meat's hardness will melt away, leaving your body and heart soft and open. You will begin to feel more deeply. Compassion will flow from your core toward all other living beings. This is the most amazing gift of eating a plant-based diet - feeling the sacred connectedness of all living things. Last week, when I posted on IG that I was going to participate in Veganuary the lovely and generous Kay Meghill reached out with a very helpful suggestion. She said, don't try to do this all at once. Be easy with yourself. Try giving up one food a week until January - let go of eggs one week, milk the next, then cheese and meat etc. By the time you get to January, you'll be ready. I think that's a fantastic suggestion. If you have fish or meat in your freezer, don't throw it out. Use it up. Scramble those eggs, make your latte or cappuccino with the last of the milk. Enjoy it and then let it go. I have a guilty pleasure. 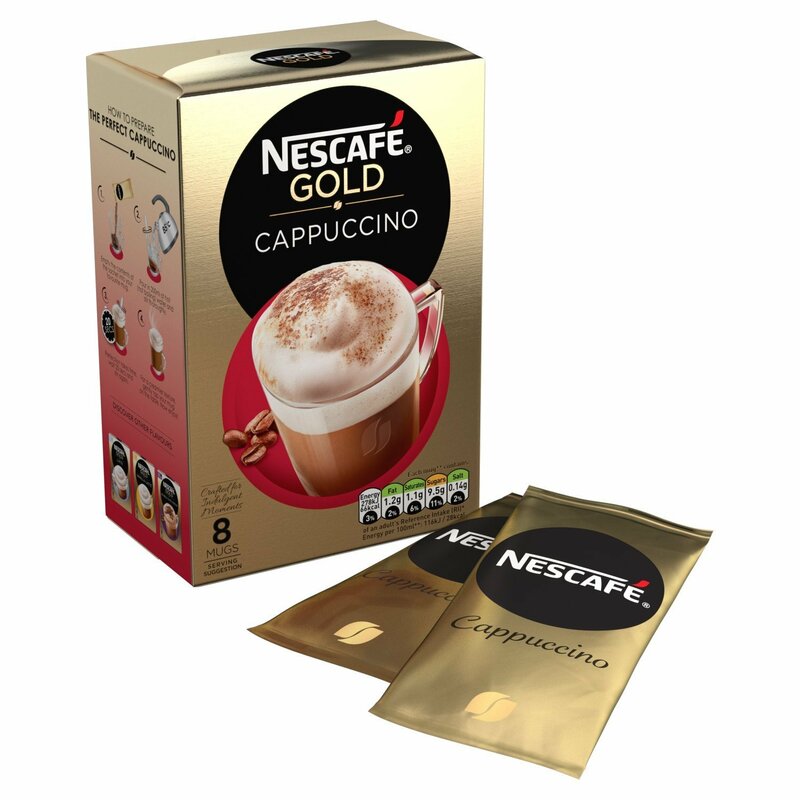 It's a nescafe instant cappuccino drink. I love me a foamy milk drink! Luckily I can get coconut milk or almond milk everywhere I like to go for an espresso based drink - except at home. I don't have an espresso maker or a foamy milk drink machine so I drink this instant foamy delicious cup of heaven. Unfortunately, it does contain milk so it has got to go. I needed a plan. Before I ran out, I picked up some Starbucks instant coffee packets. I like starbucks out in the world, so maybe I could get used to their instant coffee at home. I tried it out and added a bit of almond milk. I wish I could say it was the perfect substitute, but it was terrible. Yuck. But I'm not giving up. I made it a second time in a bigger cup, and I mixed it half boiled water, half almond milk and a sprinkle of cinnamon. I also added a teaspoon of coconut sugar. And to my surprise it was drinkable. I suppose with continued exposure, I will learn to love it. I had to step outside my square here tho because I'd given up sugar and do not want to slide back into my sugar addiction. But I made myself a deal - if it means saving a cow from certain suffering, then Ima have the teaspoon of natural coconut sugar. It's the lesser of two evils. I'm not going to beat myself up over it is what I'm saying here. Because that's today's theme, be kind to yourself. I'd love to hear what switches you're planning to make or ways in which you'll cope without your favorite animal-based food or beverage. Leave me a note in the comments below. I agree taking this one step at a time and not beating yourself up is the way to go! The whole point of this vegan thing is to improve your health and be kinder to the animals, and one of them is you! I've only had one portion of meat since Thursday but like you say, use up what you have, don't sweat it, there's not sudden rush or time limit. I know I'll have my Christmas dinner as usual because I love me a little pig in blanket (wish they didn't call them that now!! ), but the meat will be less and less of a feature in future. Thanks for this tip lovely. And yes, one step at a time, one small change at a time - we can make the biggest difference in the long run. I'm glad you'e enjoying cooking and being in the kitchen again, you're such a great cook! The Forth Day of Christmas... One person matters! The Third Day of Christmas - Take the RED Pill! The EIGHTEEN. Prepping for a New Year!